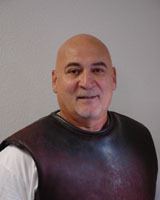 Garik Balayan has been recognized by the USFCA/AAI as a Maitre d’Armes (2001). 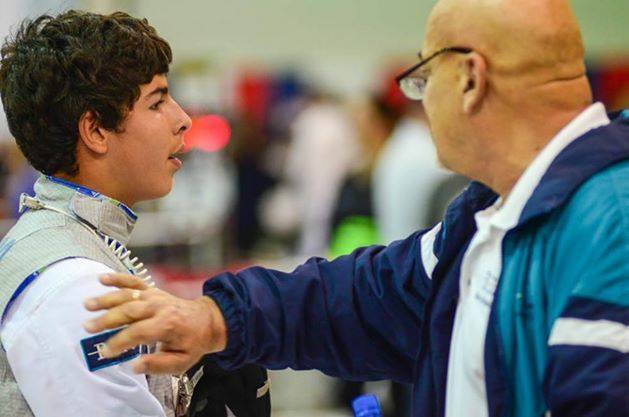 Maestro Balayan was trained as a fencing master in the former Soviet Union, and had a distinguished career as a foil coach in the USSR. 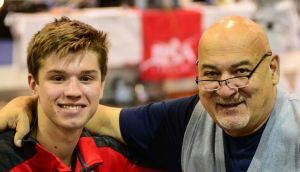 From 1978-1988 Mr. Balayan was a member of the USSR Olympic coaching staff. In 1988 Garik was awarded the USSR Medal of Merit for his performance as a coach at the Olympic Games in Seoul. In 1990, he was named a Coach of the USSR, the highest Soviet coaching rank. In 1989 Garik worked with the National Team of China. From 1990-1996 he trained the Belarus national team. From 1996-1999, Garik taught in Graz, Austria. 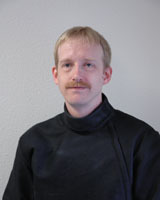 He moved to Seattle with his family in April of 1999, and has worked with us since then. Greg Jones is the head coach at Rain City Fencing Center. He is a USFCA/AAI certified Prévôt d’Armes in foil and épée, and a Moniteur in sabre. 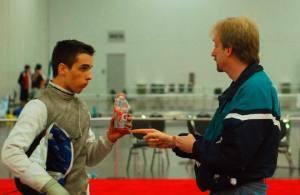 He started fencing in 1995. He has won national medals in épée and sabre and has competitive experience in all three weapons. 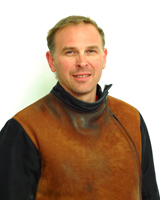 Greg took the bronze medal in Men’s Épée at the satellite World Cup in Edinburgh in March, 2004. His students have medaled at all levels of national competition, and include the 2012 Division I-A men’s foil National Champion. 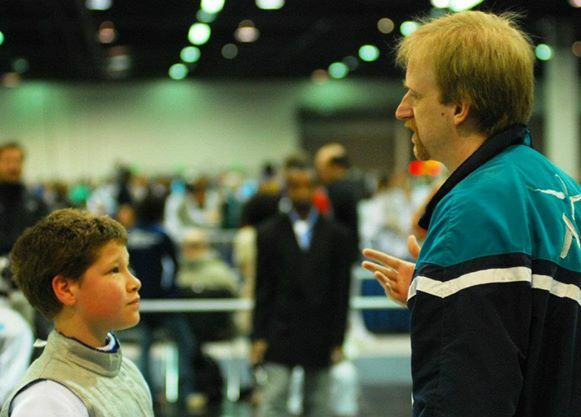 He was trained by Allen Evans, Jim Denton, Steve Colton, and Garik Balayan. 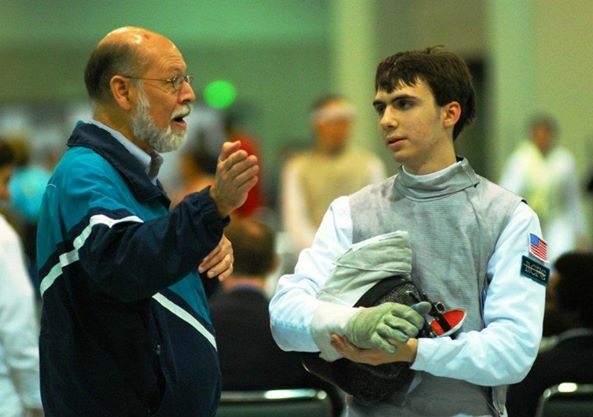 Chris Ford is a USFCA/AAI certified Prévôt d’Armes in foil and épée. 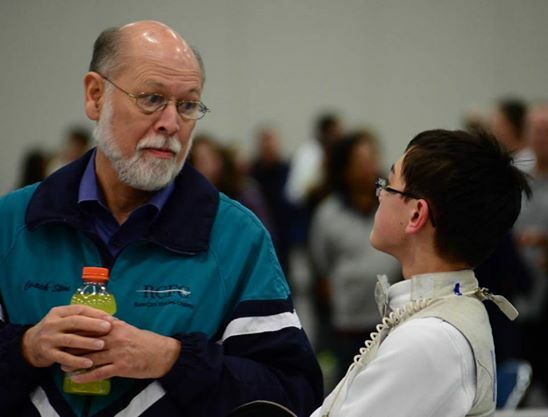 He started fencing at Wallingford Rod & Foil in 1983. 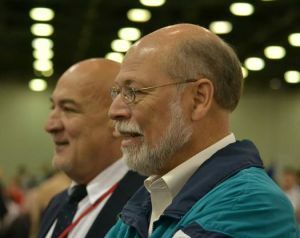 He was trained by Jim Denton and Steve Colton. In the 1990s, Chris worked for several years with Maestro Kim Man Sik, the former South Korean Olympic coach. Chris also trained with Maestro Ed Richards. 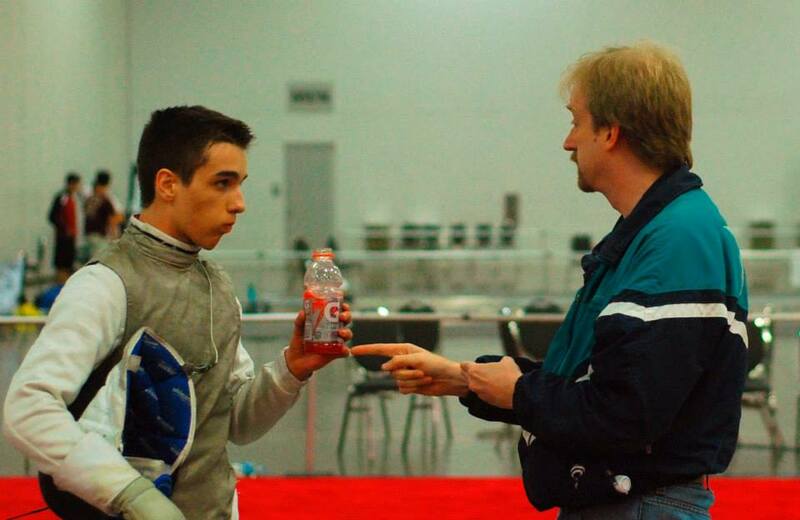 Chris was a B-rated fencer in both foil and épée. 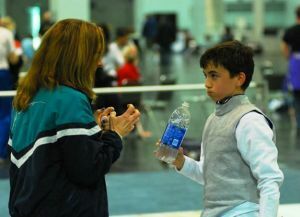 He was nationally ranked in Div 1 men’s foil, and took the silver medal in Div 2 men’s épée at the first US Fencing Summer Nationals in 1997. 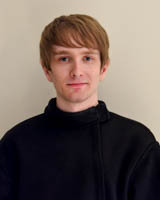 Spencer Felt started fencing at RCFC in 2005. He was trained by Greg Jones and Steve Colton. From 2007 through 2012, Spencer was a part of our nationally competitive men’s foil team. He began teaching beginning and continuing classes in 2015. 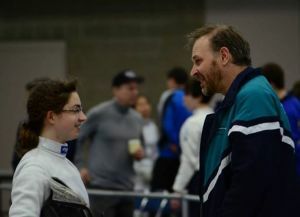 Spencer earned his Prévôt certification in foil in 2018. Stephen Colton is the head coach emeritus at Rain City Fencing Center. 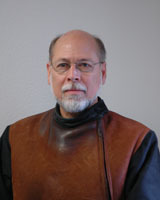 He is a USFCA/AAI certified Prévôt d’Armes (1996). 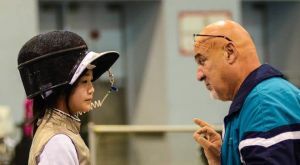 Coach Steve trained with Kim Man-Sik, former head coach of the South Korean Olympic fencing program, and with Ed Richards, a member of the USFA’s National Coaching Staff. 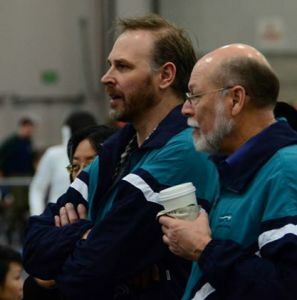 Steve taught fencing at Wallingford Rod & Foil from 1980-2000, at Shoreline Community College in Seattle from 1988-2000, and at the University of Washington from 1990-2000. Steve served two terms as the West Region Vice President of the US Fencing Coaches Association. 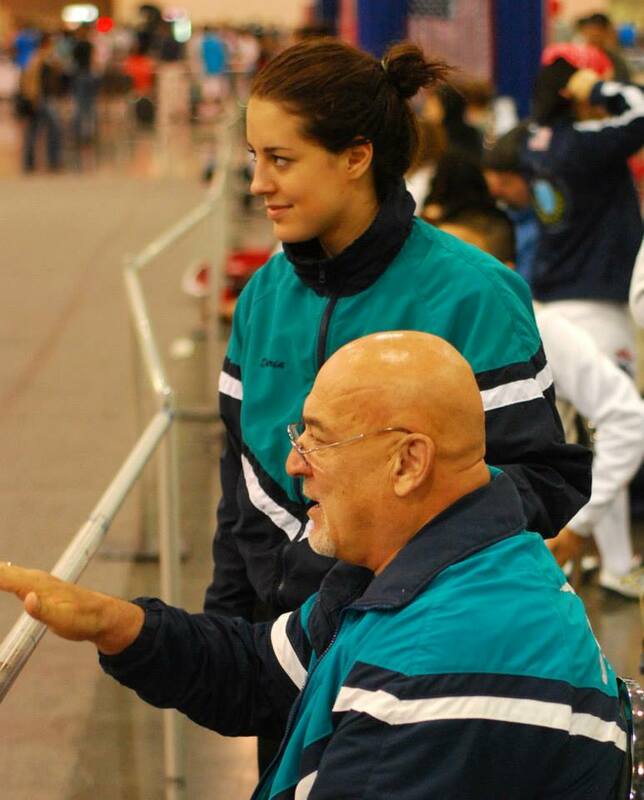 His students have competed and medaled at all levels of US National competition. Coach Steve retired from teaching in 2016. 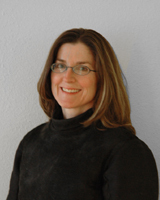 Barbara is one of the three founding members of Rain City Fencing Center. Coach Barbara retired from Rain City Fencing Center in July 2012.